Pink, is not just a colour anymore. It represents feelings, an attitude, a lifestyle. 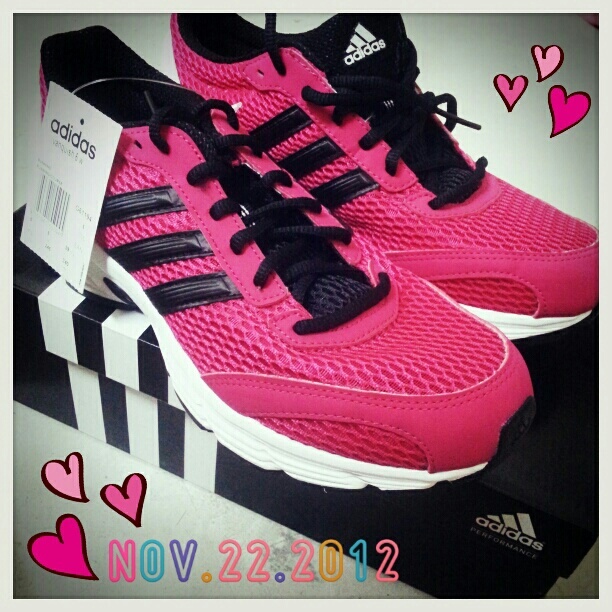 Although I'm not a girly person in real life, but whenever I come across things in pink colour, I will be attracted by it. I guess that's what we called - Girls Nature. The romantic, cute and lovely feeling when we saw something cute just bloom in our heart, and make us fall in love over and over again. 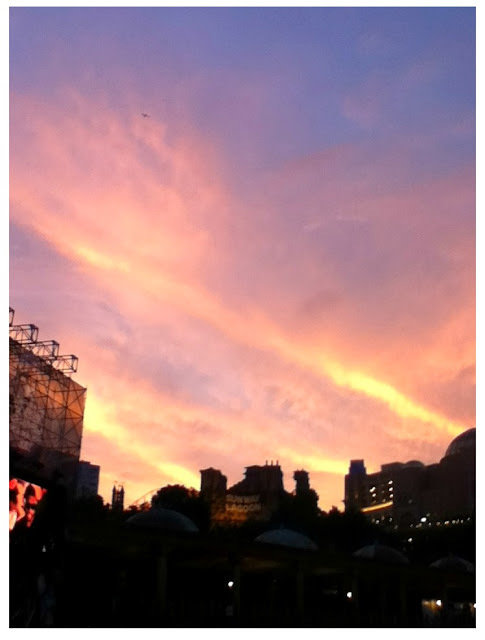 Pink Sky, definitely not something we will see averagely, but it is so romantic!!! As I've mentioned above, I'm not known as the girl who likes pink stuff, I never was. I'm more tough and quirky at the outside, but in the inside, I'm just like every girl who will mesmerized by things that comes in pink. I guess that's what girls hope for sometimes - To be treated like a princess, own a beautiful room with some pink, cute, girlish, princessy decorations. Sometimes when I feels like expressing my feminine side, I will dress myself in pink too. 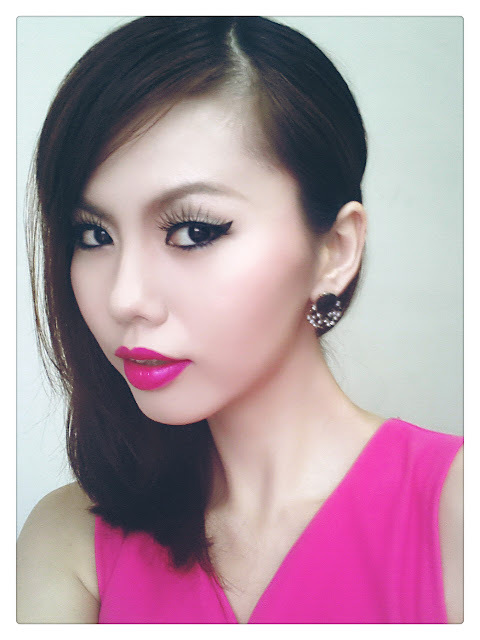 Pink lips with a pink dress. My buddy - Pink bunny! She's my sleeping companion. On and off, here and there, there's always some trails of pink with me. Pink clothing, or plushies, or accessories and even the way I did my make-up. What I can't really resist, is an electronic gadget in PINK! Which is the latest addition in the Samsung family - Samsung Galaxy Note 2 in MARTIAN PINK!!!! Pink casing, pink S Pen, everything is love!!! Samsung Galaxy Note 2's pink-diamond-hue is just what girls will die for. I literally died over and over again every single time I look at the gadget. Everything is so perfect for this gadget! I have to resist the urge to break the security wire and runaway with it. *phew~! * I tried so hard for not squealing over its cuteness at the Samsung store! If you're on the spot, you probably will see some hearts floating around me like the photo above while I lay my hands on the pink device. This Samsung Galaxy Note 2 in Martian Pink caters all the needs of a girl (someone who as geeky like me). 5.5-inch HD Display (super vivid display I tell you!!! ), quad-core processor, 8megapixels camera, Android 4.1 Jelly Bean system, and of course the cute and unique pink S Pen which comes with the pink device. "Be Creative, Be Different" is what Samsung wants to achieve for their users using Note 2, and the Martian Pink Galaxy Note 2 totally stand out from others! Minus all the boring colours we see for electronic devices, with this Samsung Galaxy Note 2 in pink, I can be all cute and girly or feminine yet stylish! Like what Jean commented on this photo - it is romantic, cute and funky! 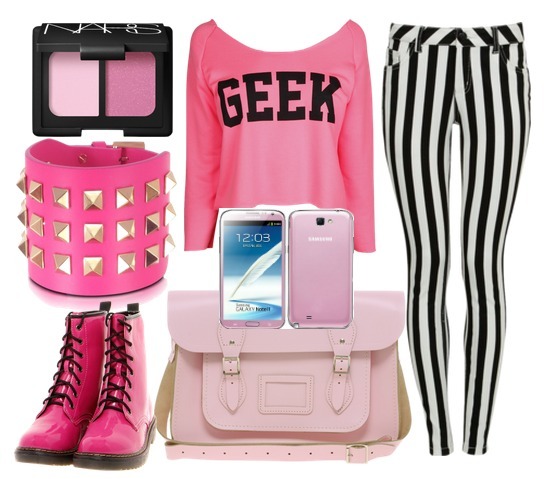 Or more to a stylish pink geek? 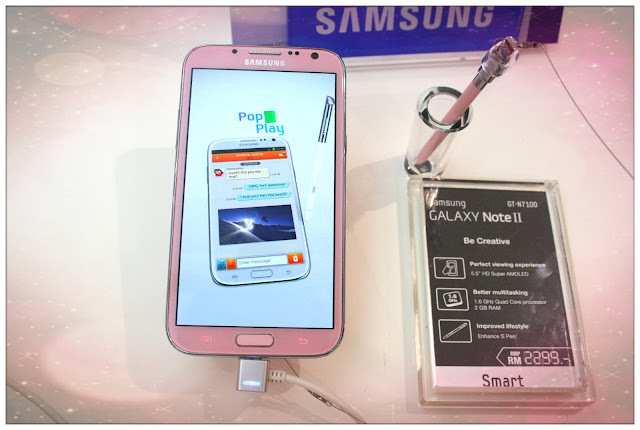 This Samsung Galaxy Note 2 in Pink is now added into my wishlist!!! My birthday gift perhaps? 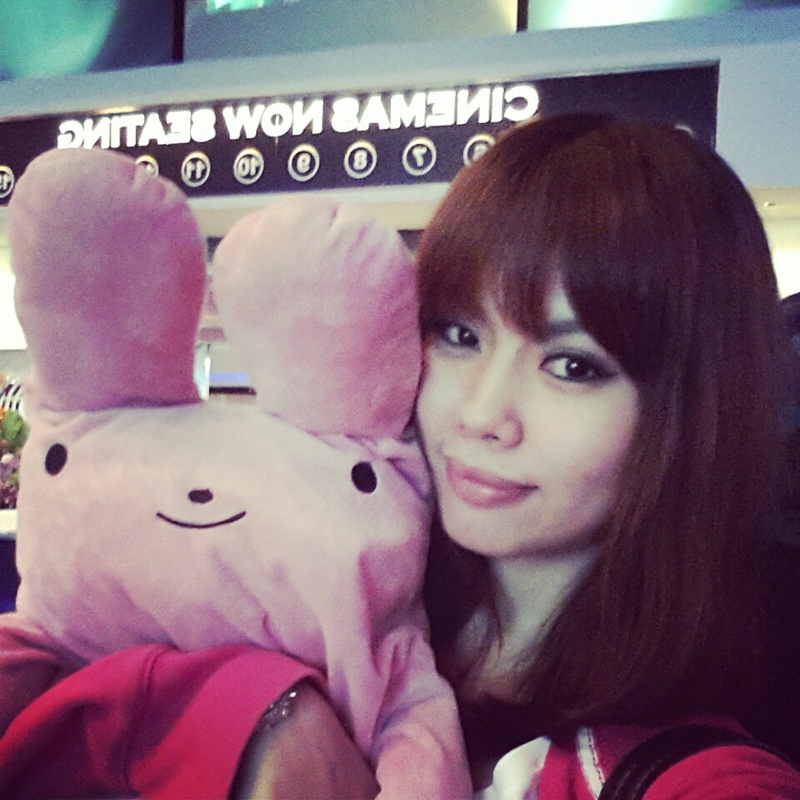 :DFor more information about the Samsung Galaxy Note 2 in Martian Pink, you can log on to Samsung Mobile Malaysia's Facebook or check their twitter page at https://twitter.com/SamsungMalaysia! Okay, is time to call my buddy the Pink Bunny now! Talk to ya'll later!!! Anyeong~!! p.s: Not-self-shot-photos credit to Xavier and Kenny. Thank you very much guys!! !